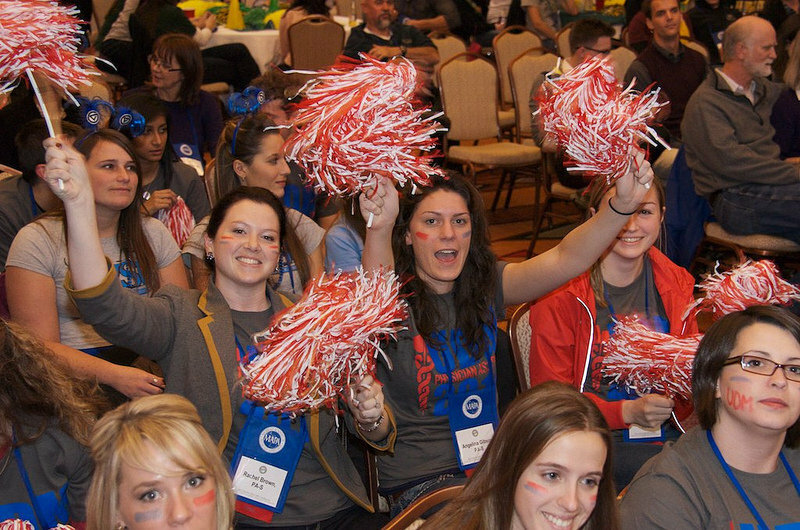 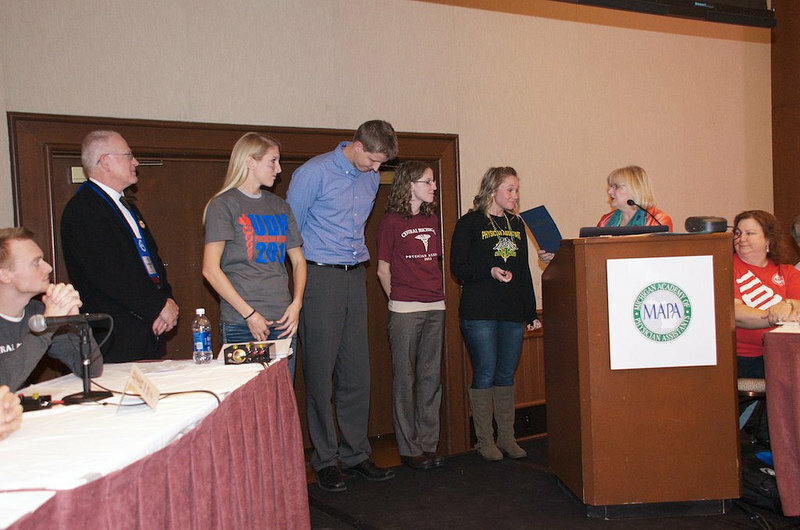 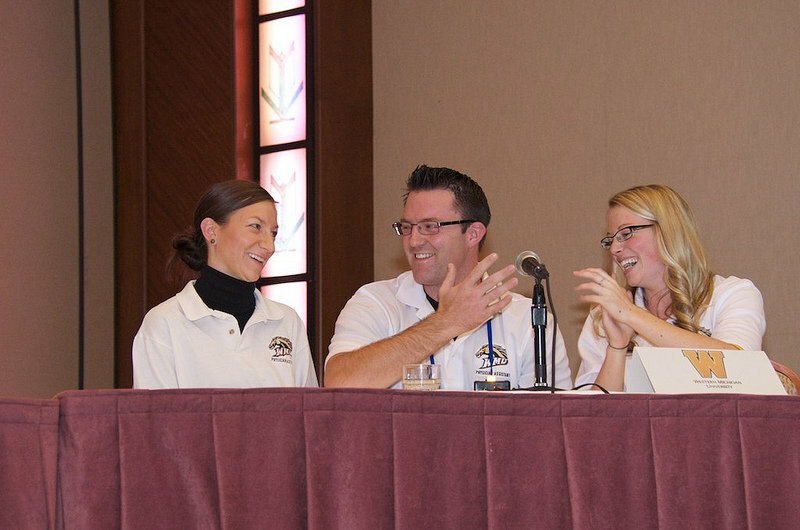 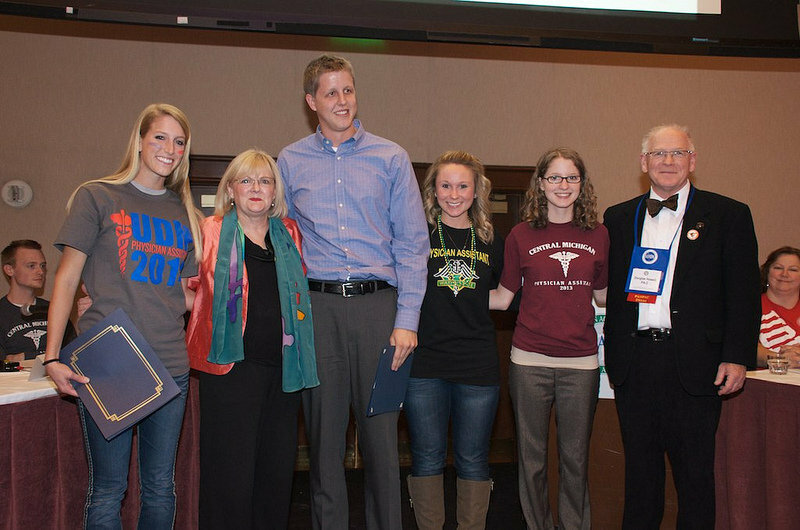 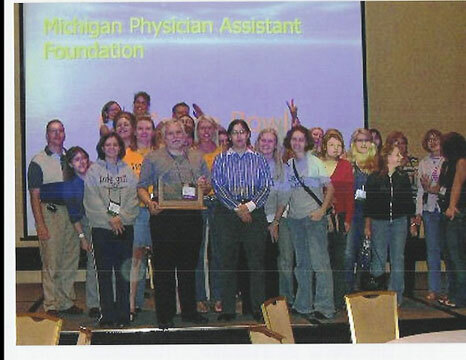 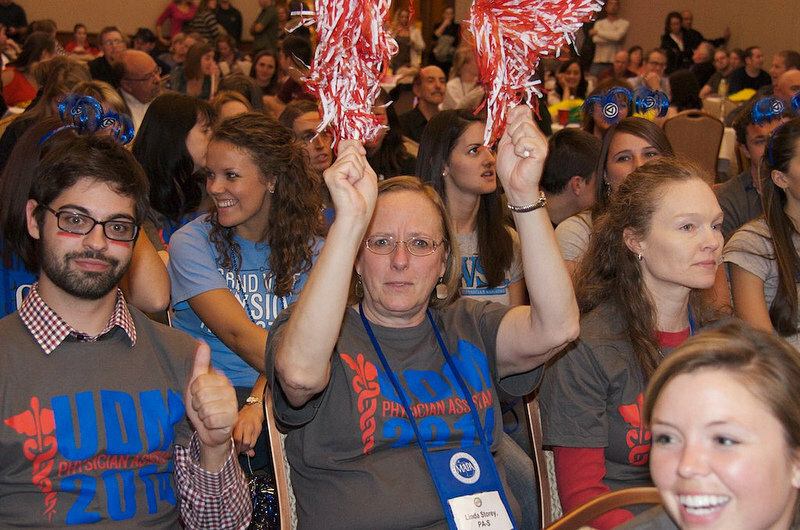 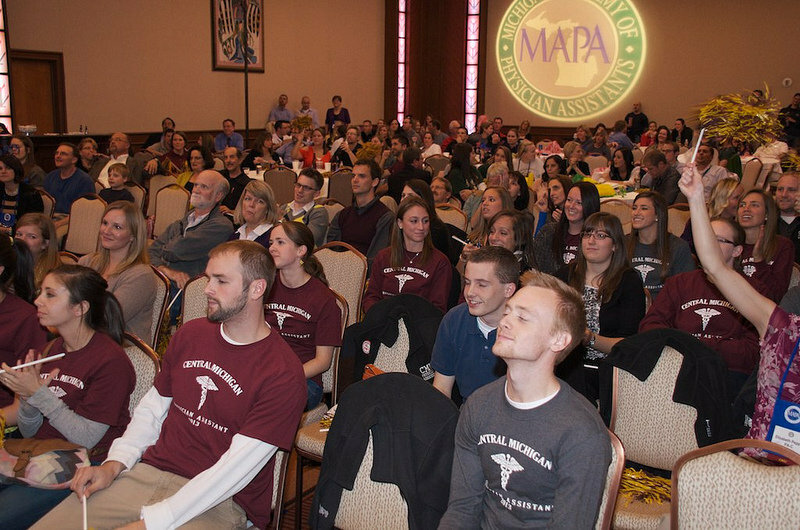 The Foundation has conducted the PA Student Challenge Bowl at the Michigan Academy of Physician Assistant’s Annual Conference since 1996. 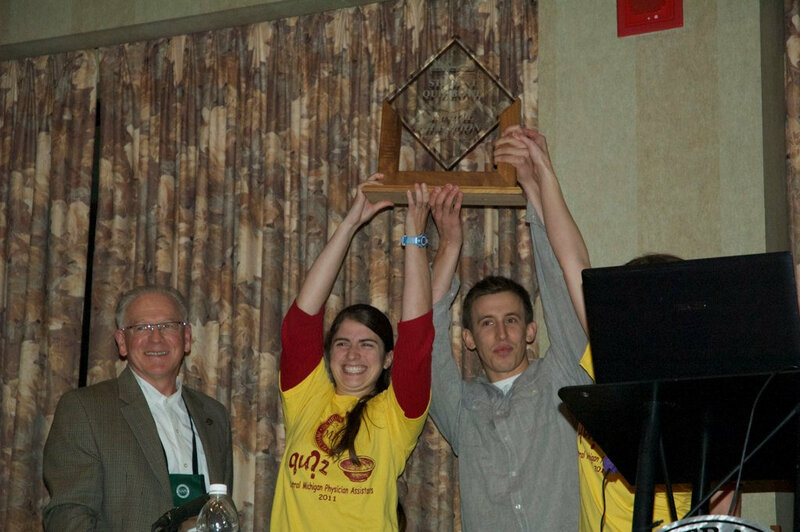 A trophy of Genius is awarded to the winning program,who gets to keep it until the next years Challenge Bowl. 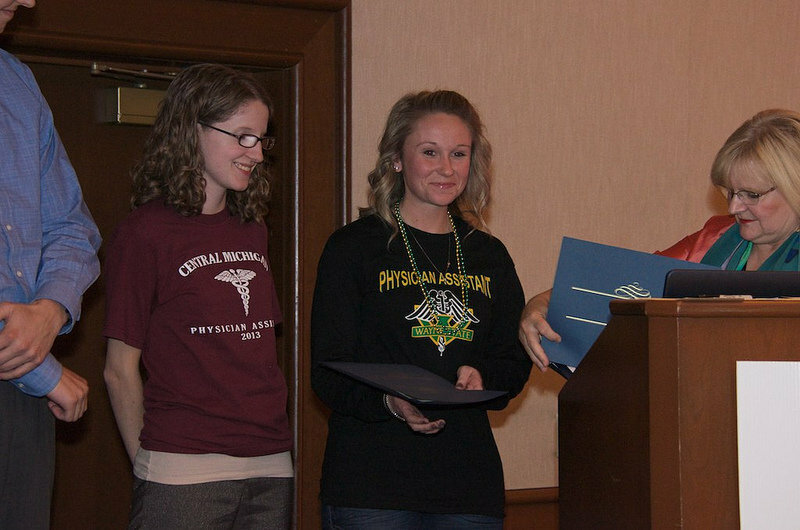 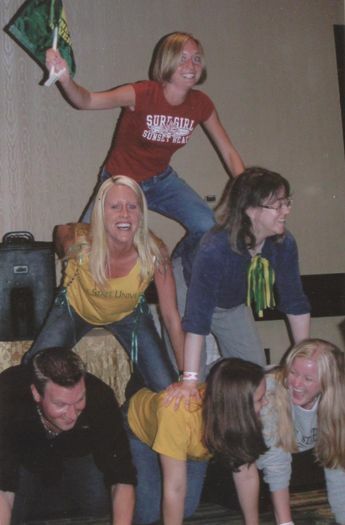 To see photos of students and Michigan PAs from your Michigan PA program, scroll down to find your PA program slide show listed in alphabetical order. 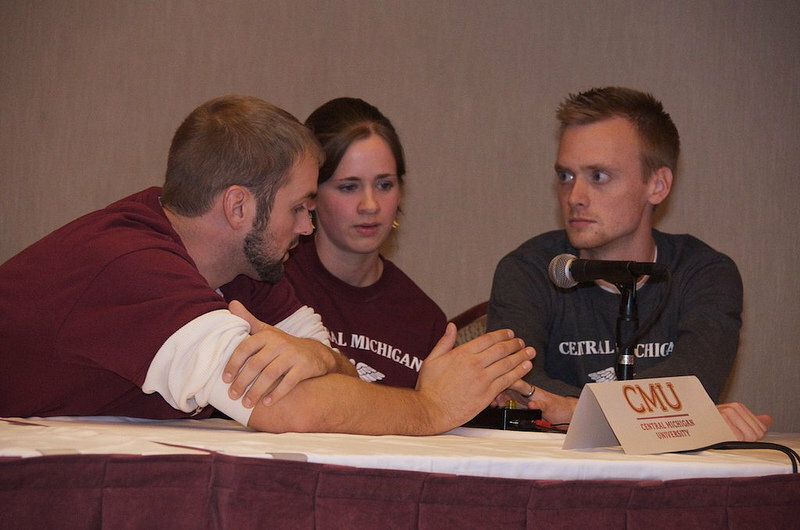 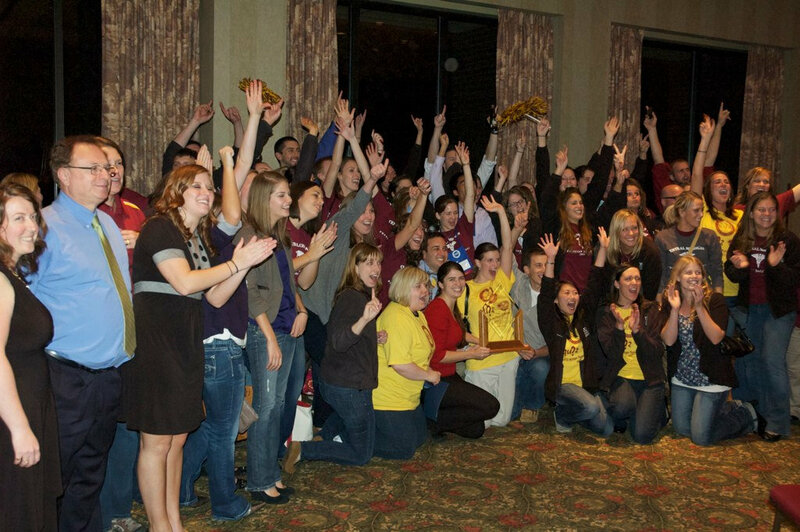 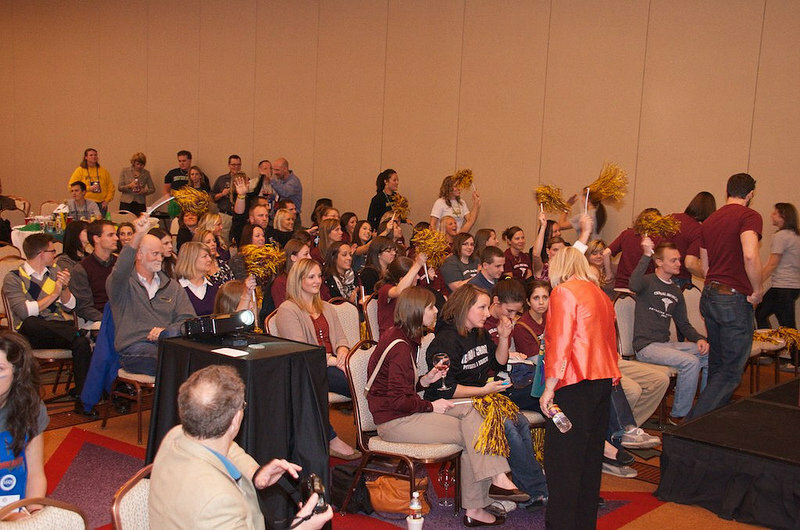 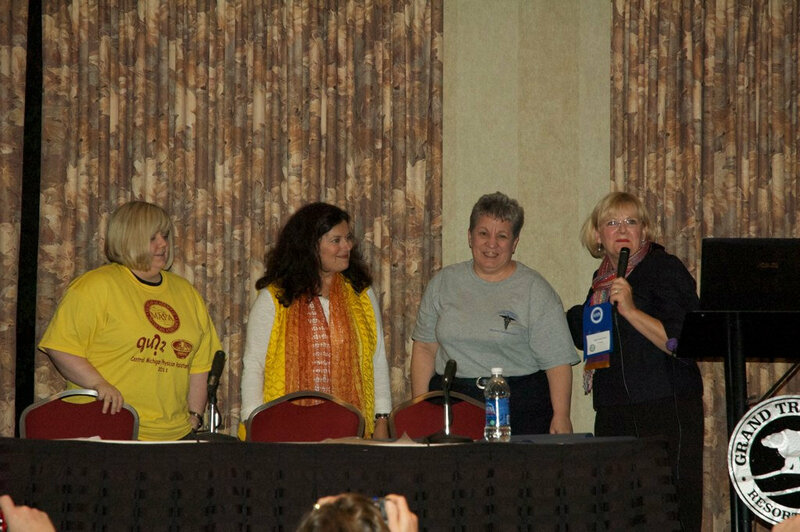 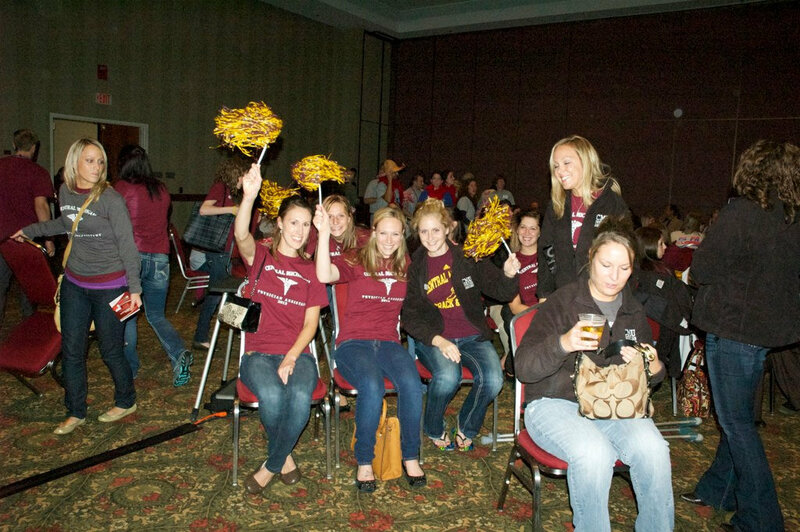 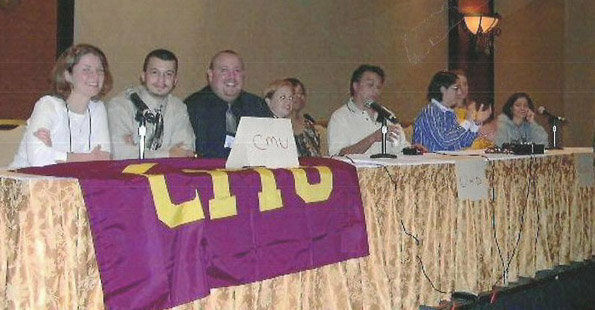 CMU PA program students participate in the annual quiz bowl games at the MAPA conference. 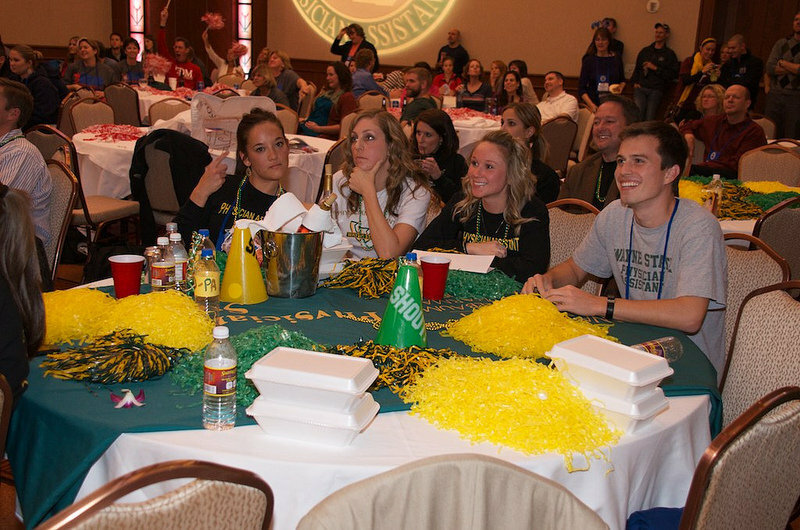 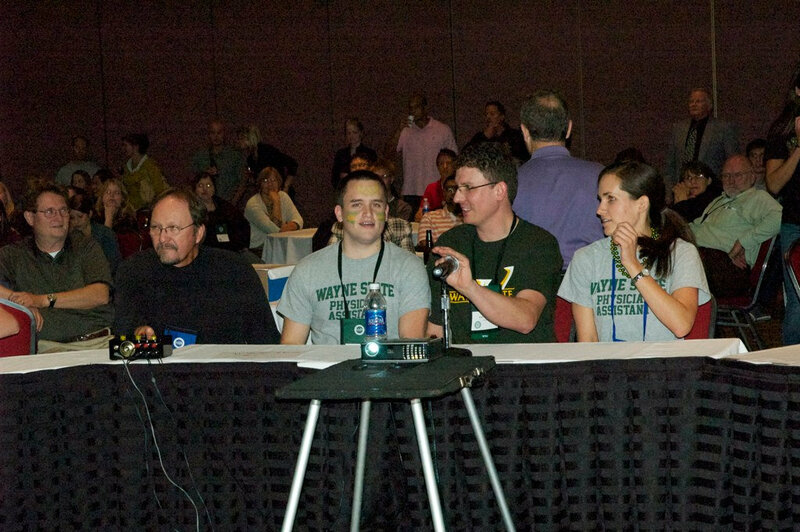 Photos for EMU will be available when they participate in the 2014-2015 Quiz Bowl. 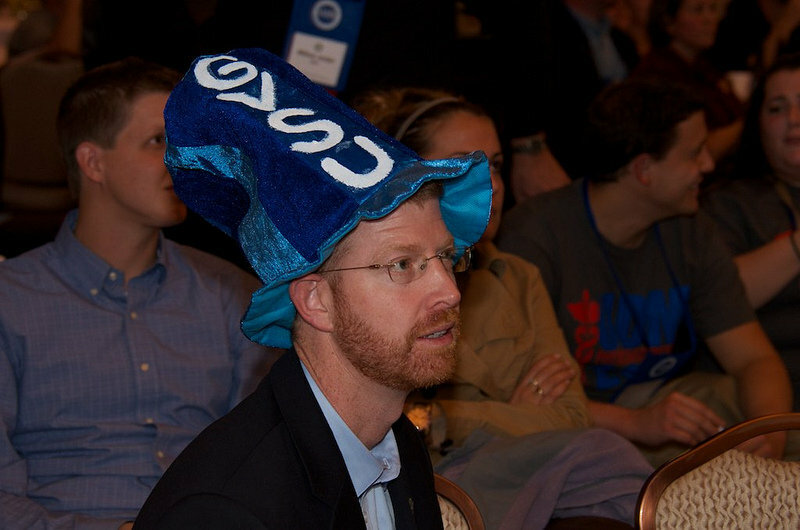 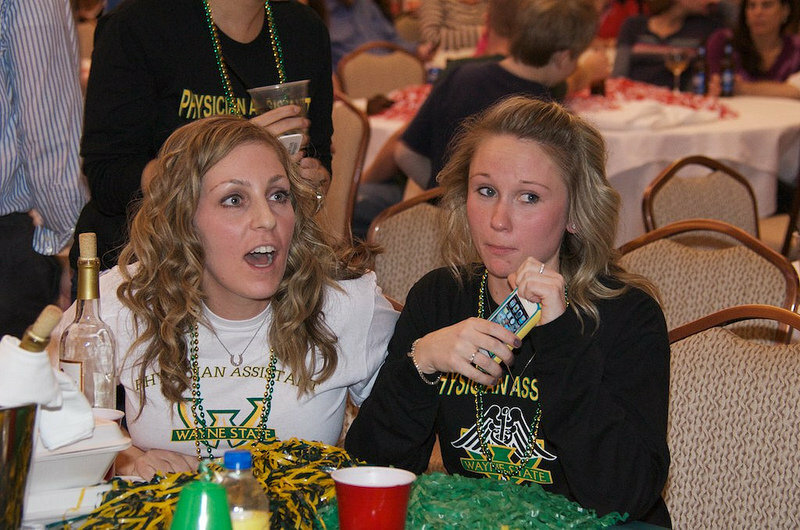 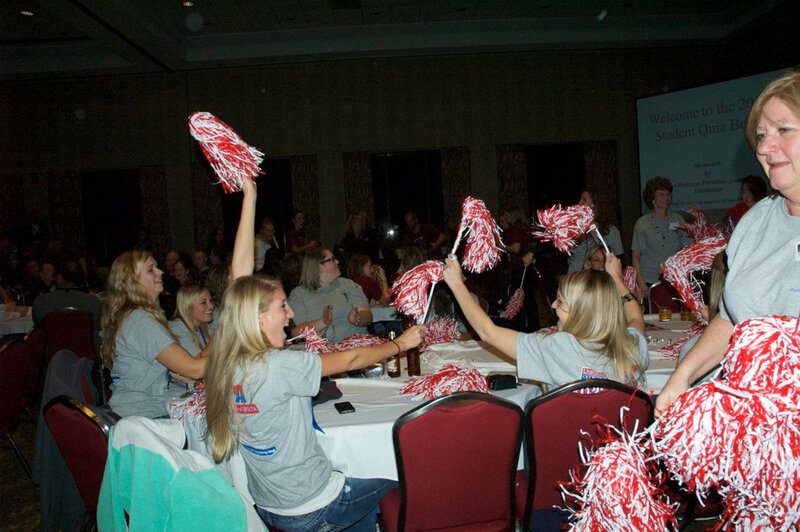 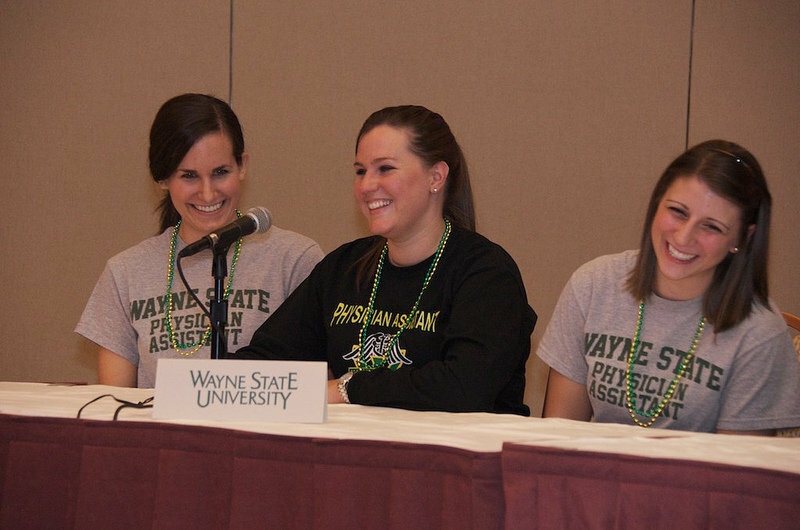 The EMU PA program did not have their first class established at the time of the 2013-2014 Quiz Bowl. 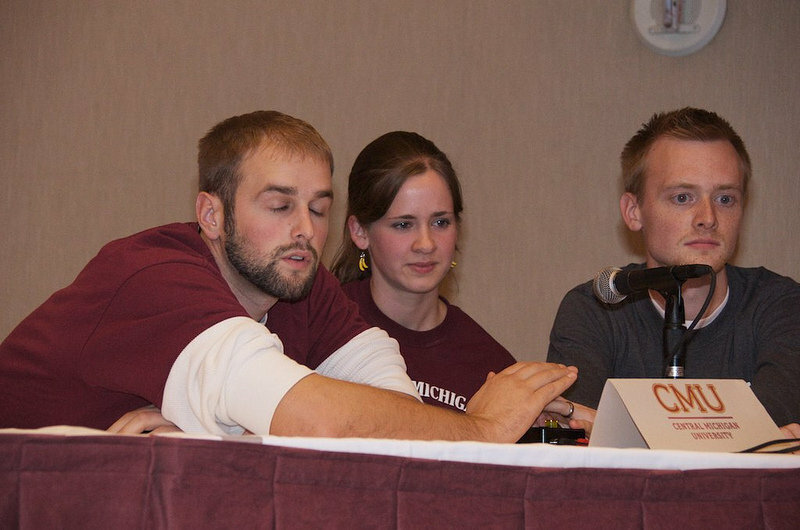 GVSU PA program students participating in the annual quiz bowl games at the MAPA conference. 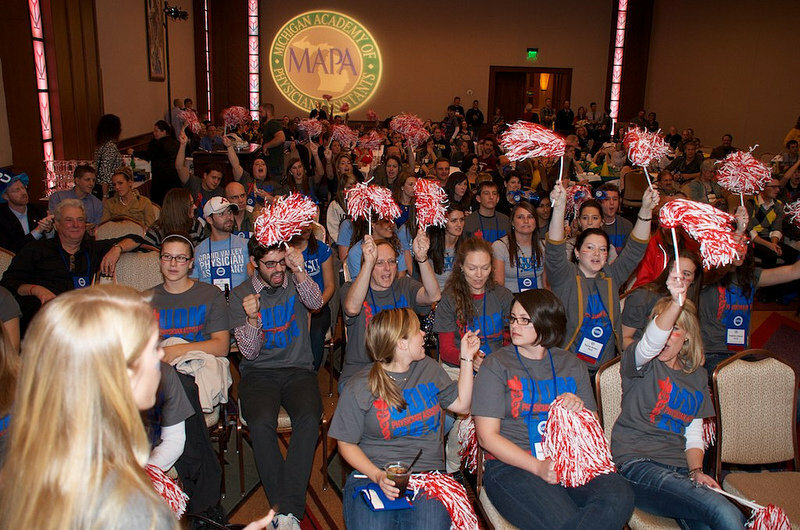 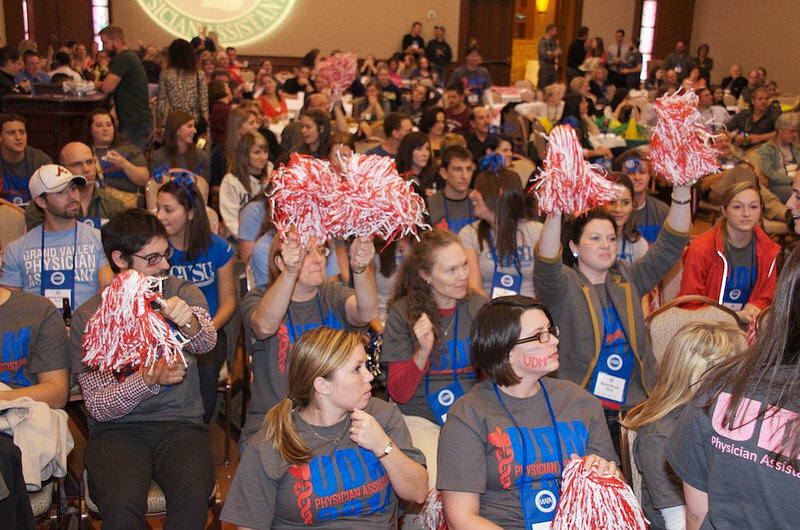 UDM PA program students participating in the annual quiz bowl games at the MAPA conference. 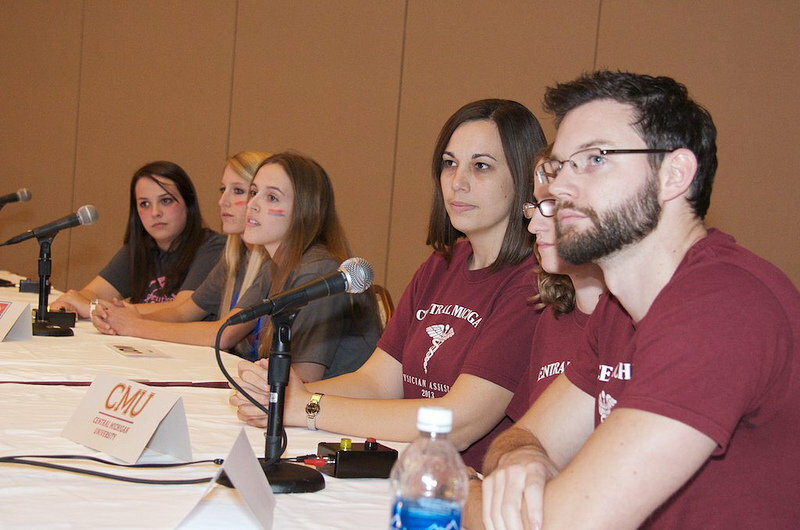 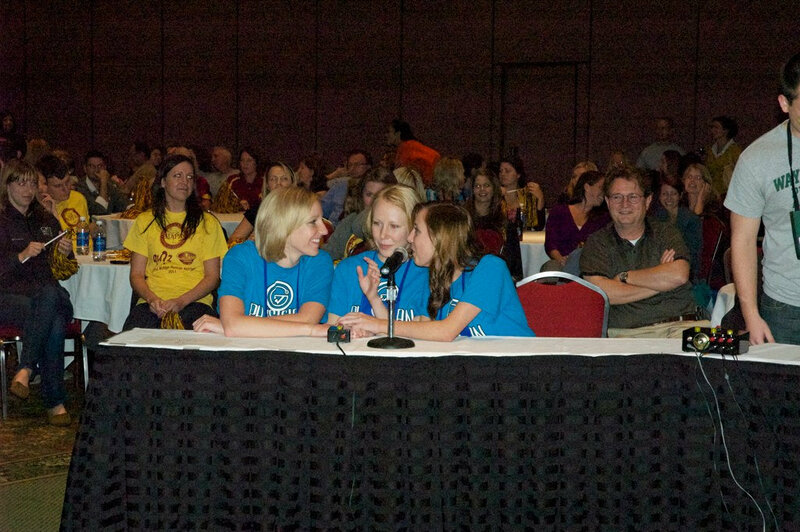 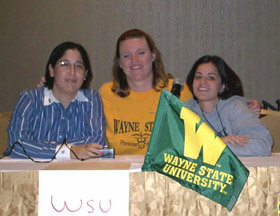 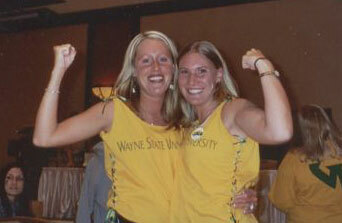 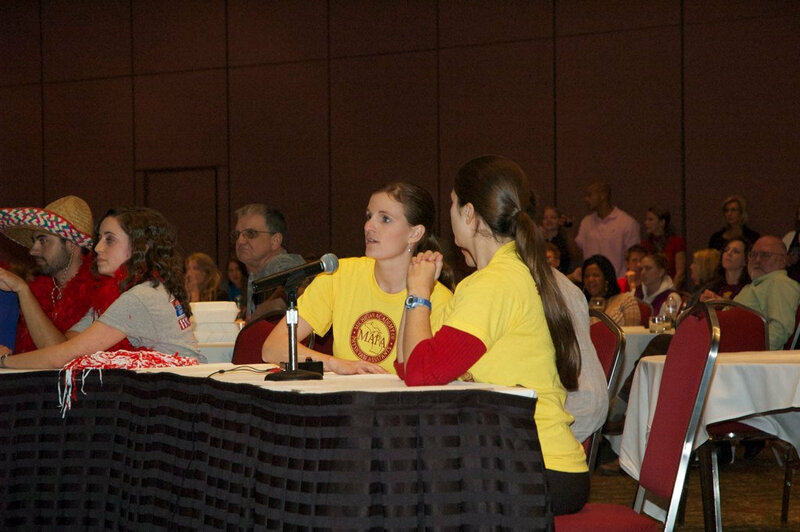 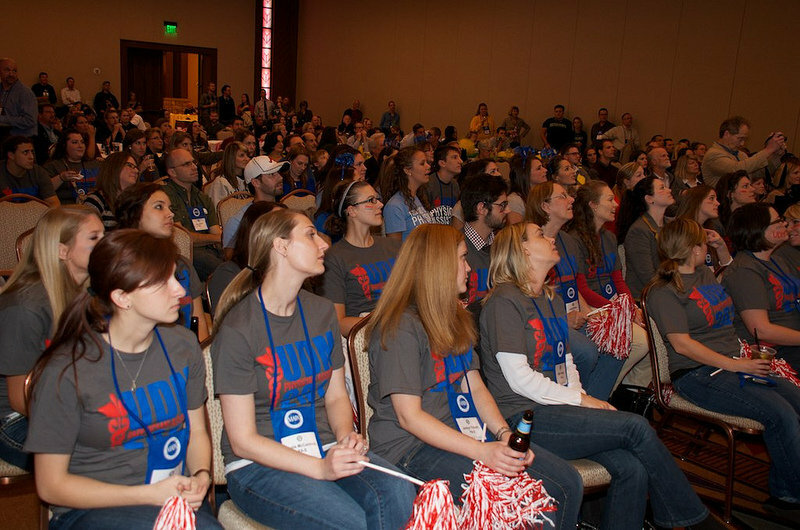 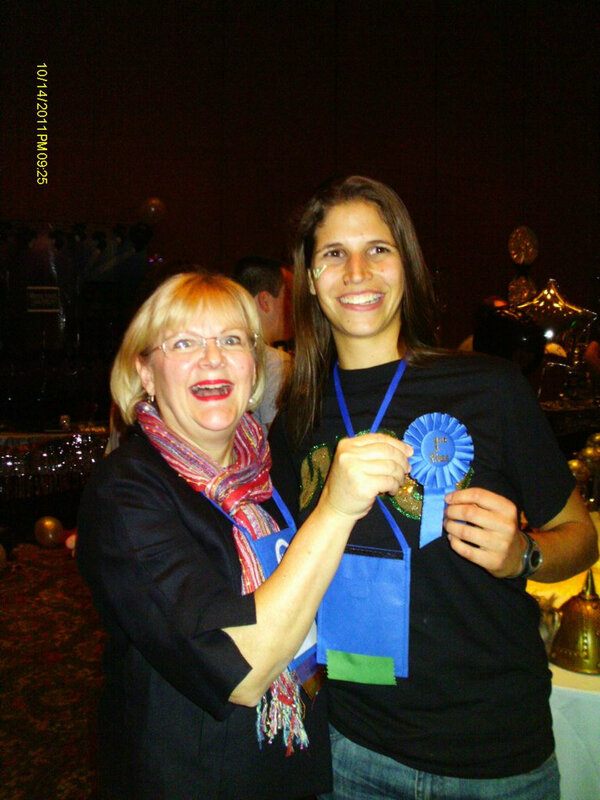 WSU PA program students participating in the annual quiz bowl games held at the MAPA conference. 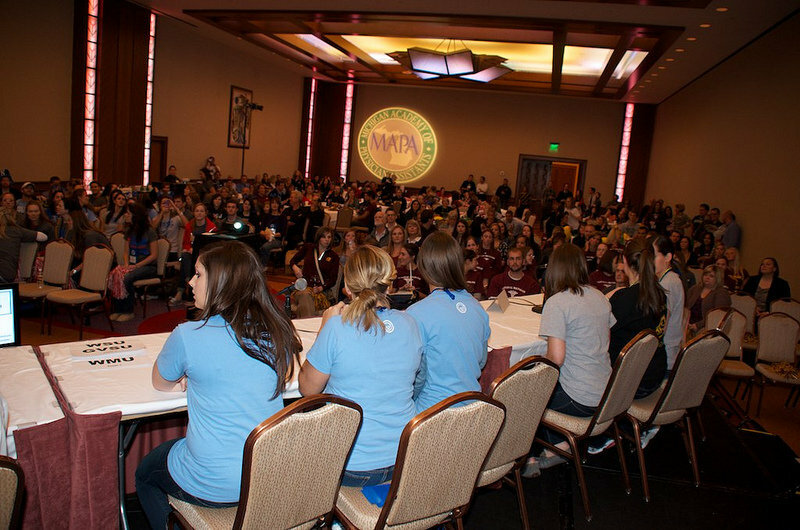 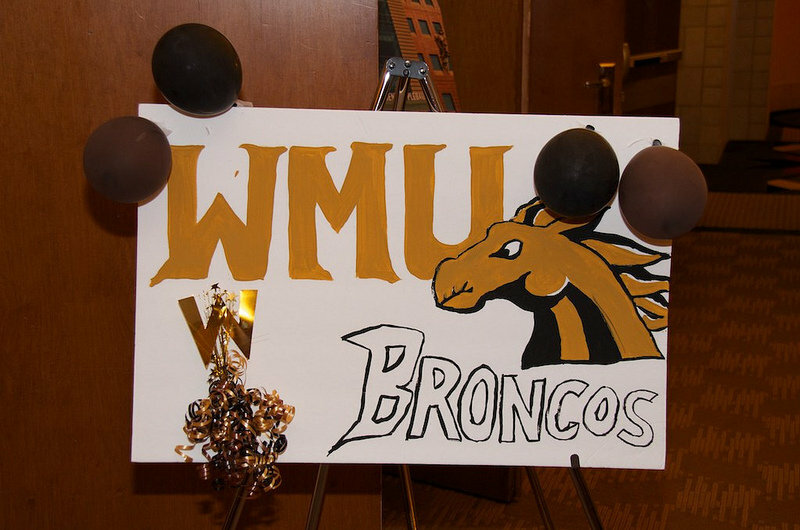 WMU PA program students participating in the annual quiz bowl games at the MAPA conference.